Since the Jaguar F-PACE first emerged a few years ago, it’s proven that the British automaker can do more than produce high-performance sedans. The AWD luxury vehicle is both stylish and practical, combined with that Jaguar performance we’ve all come to know and love. New for 2018 in the Jaguar F-PACE is a more powerful version of the 2.0L 4-cylinder, which produces 296 ponies instead of the standard 247. There’s also a 3.0L V6 that produces 380 horsepower. As if that wasn’t enough, there’s also an available diesel, which features Jaguar’s 2.0L 4-cylinder Ingenium range engine that’s good for 180 horsepower. If that’s still not enough for you, there’s soon to be a version of the Jaguar F-PACE available that will rival even the best of the British brand’s high-performance cars. The Jaguar F-PACE SVR will feature the potent 5.0L V8. It’s not available as of yet, but will be soon, so be sure to ask for details when you check out the 2018 Jaguar F-PACE. The Jaguar F-PACE sports a silhouette and shape that instantly suggests performance and muscle on the road. 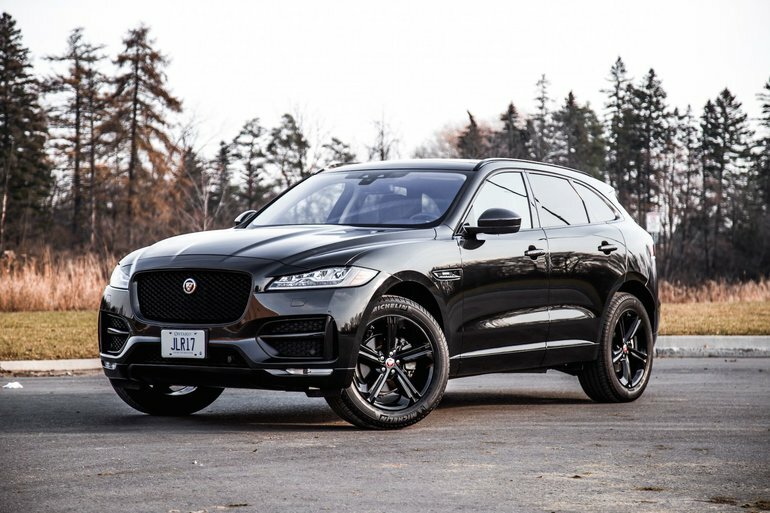 Distinguished and sophisticated, the 2018 Jaguar F-PACE definitely has a performance-driven stance – and you can even get 22” wheels if you really want to beef up this crossover’s overall look. Headlights and taillights are modern and instantly recognizable on the road, as is the large screaming Jaguar emblem up front. Step inside the 2018 Jaguar F-PACE and you’re met with premium materials, leather seats, and an easy-to-use entertainment and navigation system that is also aesthetically pleasing. There’s also a fully digital gauge cluster behind the steering wheel. Of course, crossovers are meant to be both practical and fun to drive, so it’s important to note that the 2018 Jaguar F-PACE boasts 508 litres of cargo space in the rear for all your luggage. To find out more about the 2018 Jaguar F-PACE, head down to your local Jaguar Vancouver to speak with one of our experts about all that this luxury crossover has to offer. And don’t forget to book a test drive too.